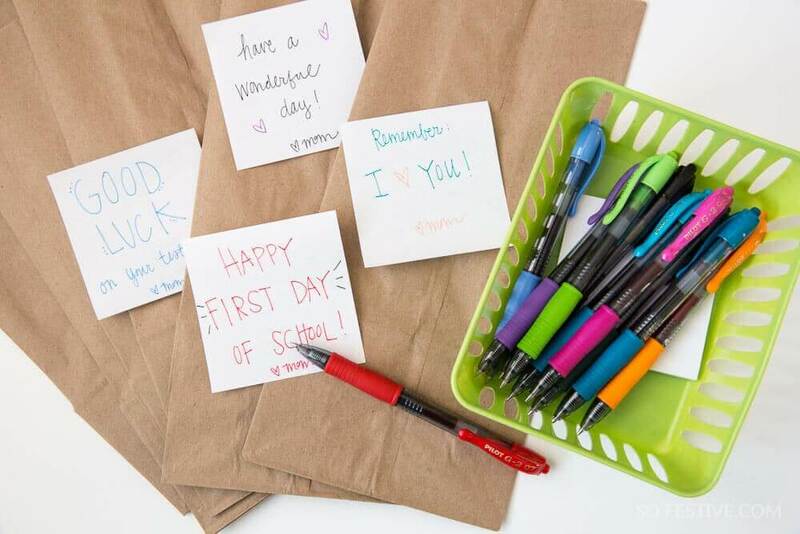 Back to School Hacks for Moms - So Festive! It’s so easy to focus on children at back to school time! Of course, it’s super fun helping them pick out their first day of school outfit, choosing school supplies, and getting their backpack ready. But, moms deserve a little back to school attention, too! Because going back to school requires more than just shopping for all the fun stuff. So let’s talk a few back to school hacks that have worked for us! 1. Shop early for school supplies. I’ve learned that shopping for school supplies is always more fun when I do it WHEN it’s fun. That means, instead of waiting until the night before school starts to gather school supplies and new clothes when you are stressed to the max, plan a day at least a few weeks before school starts to make your shopping trip. Tip: Make a date out of it! Plan a special date with each child to go pick out new clothes and school supplies. By doing the shopping early, you’ll be able to have a fun back to school dinner (like how about this fun backwards back to school dinner) to kick off the new year. 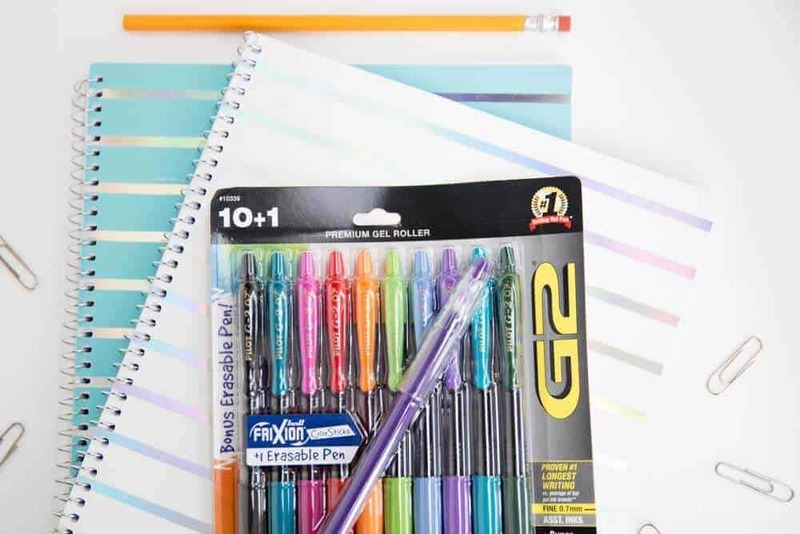 And… don’t forget to grab a few new school supplies for YOU! 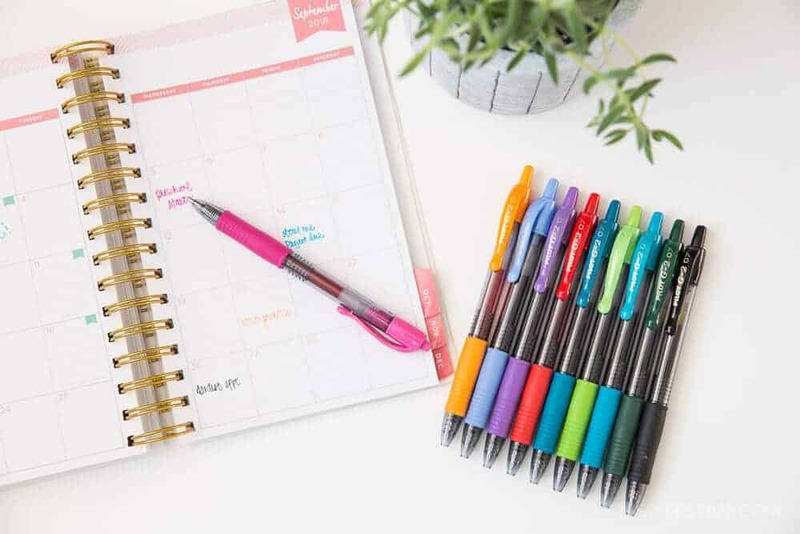 You may not be going back to school, but keeping a household organized and running will be more fun if you have a few things to keep you organized. 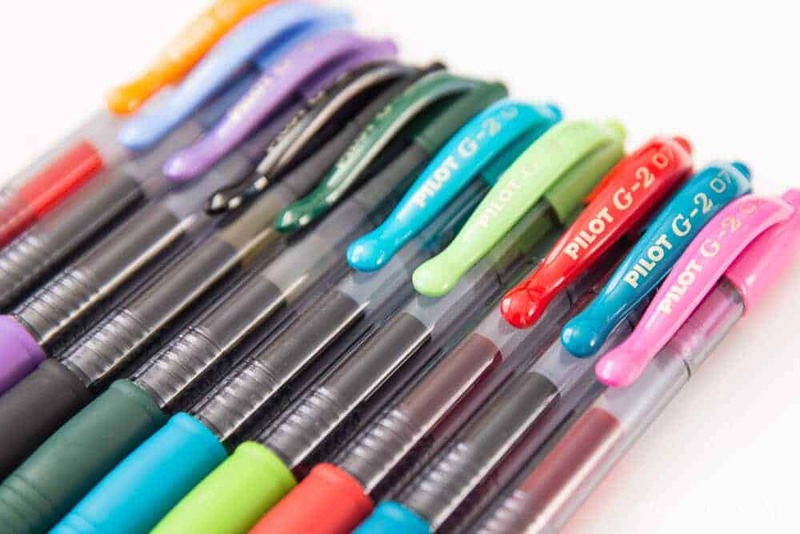 I love using smooth writing gel pens like these G2® Pens by Pilot Pen. I rarely by pens for myself, but when I do, it’s these kind. I love all the fun colors and how easy they are to write with! It’s no wonder the G2 is the #1 selling pen in America! 2. Set out clothes the night before. Our mornings go SO much smoother when we set our out outfits the night before. My children are still little, so they need a help with this. At bedtime, we just pull out their outfit for the next day and set it on their dresser. Then when they get up in the morning, they already know what to get dressed in while I work on breakfast. In fact, they get mad when I forget to set out clothes. By doing this, it also helps me as the mom to make sure I have clean clothes for them. Nothing like waking up and realizing there isn’t clean underwear or clothes to wear. We keep a few hair supplies in a kitchen drawer so that I can do my children’s hair at breakfast. I’m excited for the day when they can do their own completely in their bathroom upstairs, but having all the hair supplies right there in the kitchen makes it easy for me to do it without having to herd them back upstairs. This is the first year my son will take his lunch to school and I’m equally excited and nervous! I remember my own mother making our lunches and packing them in a brown bag. I loved finding surprise notes from her. I plan to do this for my own son, so I’m making sure that I have paper and G2 Pens in a convenient spot that I can quickly write a little love note. I’ll just keep some sticky notes and pens in a basket by with the lunch-packing supplies so that writing notes is easy and quick! My husband and I keep a shared calendar on our phones for appointments and events, but for the daily tasks and deadlines, I use the good old-fashioned paper planner. I’ve started color-coding each person’s appointments so I can easily see who has what and when. And those big assignments and events at school? Those go on the calendar too! I always choose a planner that has a page for each day to keep track of tasks for the day. I get so much satisfaction out of crossing off things I’ve accomplished–even if it’s getting dressed! Haha! 6. 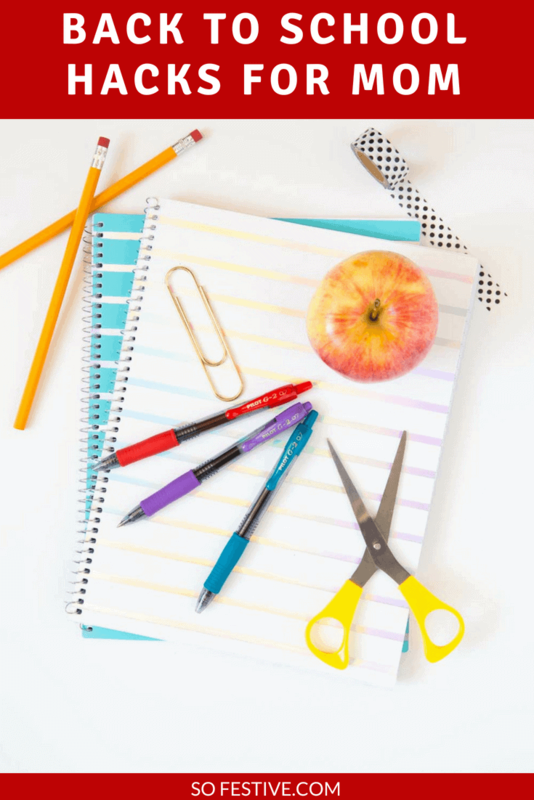 Have all homework supplies in one place! One thing that has saved my sanity is by having all the homework/school supplies on one place! I used to have the pens and pencils in one drawer, scissors in the other room, and crayons in another box. And then I got smart and put them all together! Why didn’t I think of this before? Tip: Keep the organization simple and doable. Make it easy for kids to keep the homework supplies clean and tidy with simple baskets, bins, and containers. I’ve also learned that I have to make it easy for my children to keep things cleaned up! Sure, there are SO many perfect organization ideas out there (that I’d LOVE), but for our family of littles, I’ve learned that baskets and drawers are the best way to help them help keep things clean. And then i don’t go crazy when things aren’t perfectly put away. So my secret: organized mess! Keep crayons in one bin. As much as I love organizing crayons by color, my toddler kept messing it up. So now they are all in one container. Have a basket or bin of paper that kids can use at any time. Regularly throw out any dried out markers or broken crayons to keep clutter to a minimum. Have a snack ready for those hungry bellies. So you want to be the cool mom with fun treats and snacks when your children get home from school, right? You know your kids are going to be hungry when they get back and they will want to tell you all about their day (or at least we can hope!) Simplify after school snacks by having a few grab-n-go options ready. The Best Chocolate Chip Cookie Bars– you can make 2 dozen chocolate chip cookies with this quick recipe. And these cookies are freezer friendly, so you can make a big batch and have them ready and thawed when school is out. Graham Cracker Cookies – so simple, but such a classic. 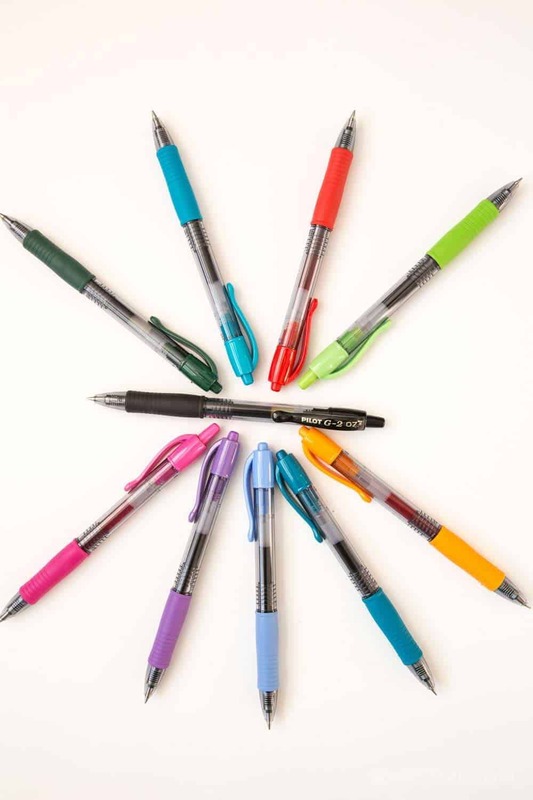 Don’t forget to stock up on G2 by Pilot Pen this back to school season with this coupon! 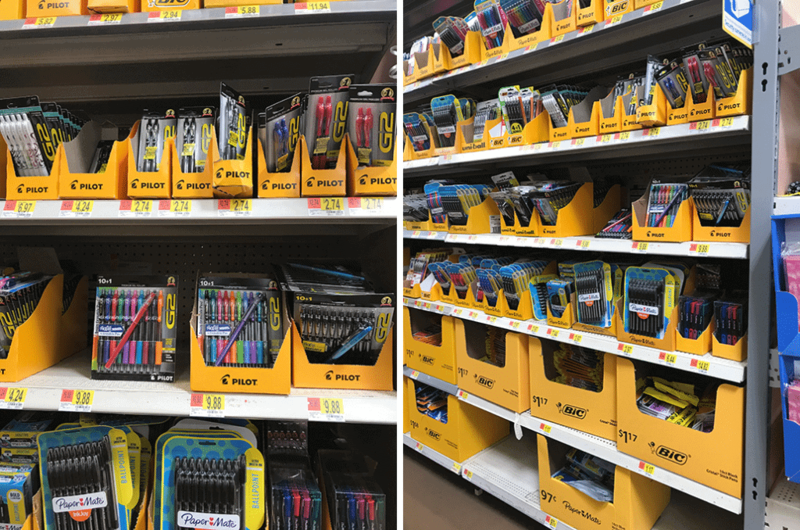 You can find G2® Pens by Pilot Pen at your local Walmart in the Back to School aisle. 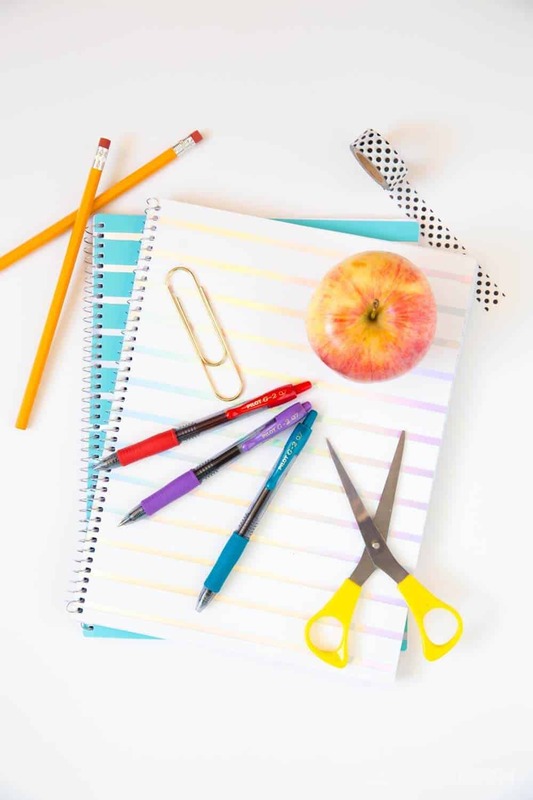 I hope these back to school hacks will work for you like they have for our family! If you have any other great ideas for us, share in a comment below!